Introducing for the first time the new Temple Jewels in Real 3D. 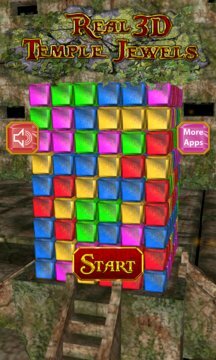 Temple Jewels is a simple but with extremely 3D fun game. It is the ultimate time pass, a glorious explosion of fun and a joy for every one. 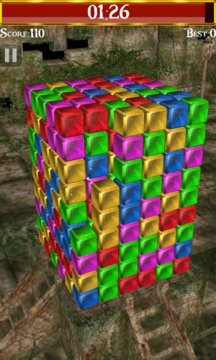 The gems are piled on each other on the base; which can be drag right/left to 180 degree angle complete; displaying all the sides of the piles making game more 3D. Match and touch at-least 2 colourful jewels from any side to eliminate. By playing this casual game you will find yourself addicted to shiny gems with cool Real 3D environment. - Real 3D Temple horror environment background with dynamic lighting effects. - More matching jewels in one group. More points earned. - When there is no matching combination left, you can have bonus points for the jewels left. - Limited time to play making the game more thrilling and exciting.